Michel Platini, the head of the European football body UEFA, has warned Euro 2012 co-hosts Ukraine and Poland to speed up their preparations. Neither Ukraine nor Poland has hosted a major championship before, and Platini has stressed his growing concerns over their progress. Platini first warned the co-hosts back in January, highlighting the importance of the next six months. “I have the distinct feeling that the next four to six months will be crucial in order to avoid any critical slippage in infrastructure projects and to protect the credibility of the Euro project,” he said. However, Polish sports minister Miroslaw Drzewiecki has insisted that the necessary preparations will be ready in time. “There is still a slight delay but we will be ready in time,” Drzewiecki said. He added however that he did not consider such a move likely and said the problem was more one of government organisation than of will. Last month UEFA president Michel Platini admitted he had been forced to tell the joint hosts of the 2012 European Championships, Ukraine and Poland, to speed up their preparations for the event. “We’ve had to wake them up a little and tell them it’s time to get going,” Platini said. Platini warned last month that the co-hosts faced a crucial period after concerns mounted over the state of preparations for the event. “I have the distinct feeling that the next four to six months will be crucial in order to avoid any critical slippage in infrastructure projects and to protect the credibility of the Euro project,” Platini said. Ukraine and Poland are both hosting the continent’s footballing showpiece for the first time. 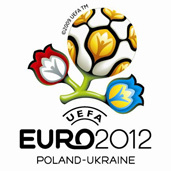 Poland could meet the requirements to host 2012 but Ukraine? even if the stadiums come up to scratch the infrastructure is archaic a left over from pre/post Soviet decay, with hundreds of thousands attending, it is not looking good for them, with sub standard transport systems infrastructure outside Kiev non existent by western standards, not enough decent hotels and a serious security risks of crowd control, I could go on. I live there I know!